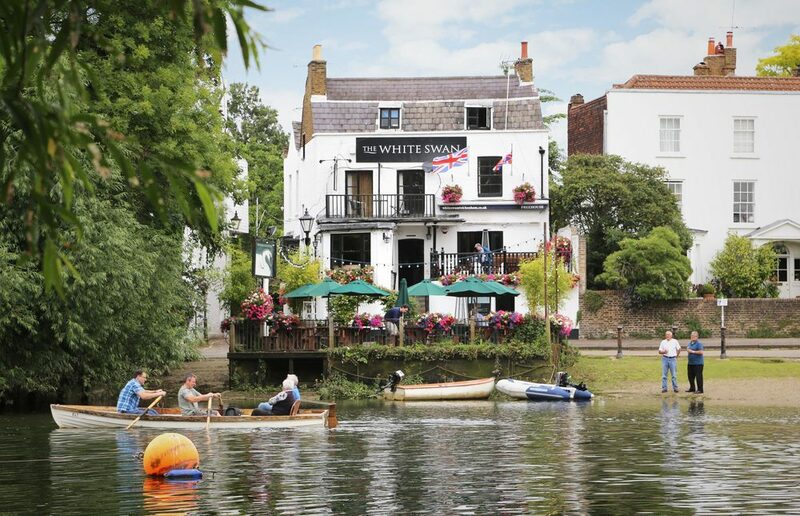 The White Swan is a traditional free house right on the banks of the River Thames in Twickenham. The pub dates back to the 17th century. You can see us in the Samuel Scott print, dated 1760, that hangs above the fire in the bar. 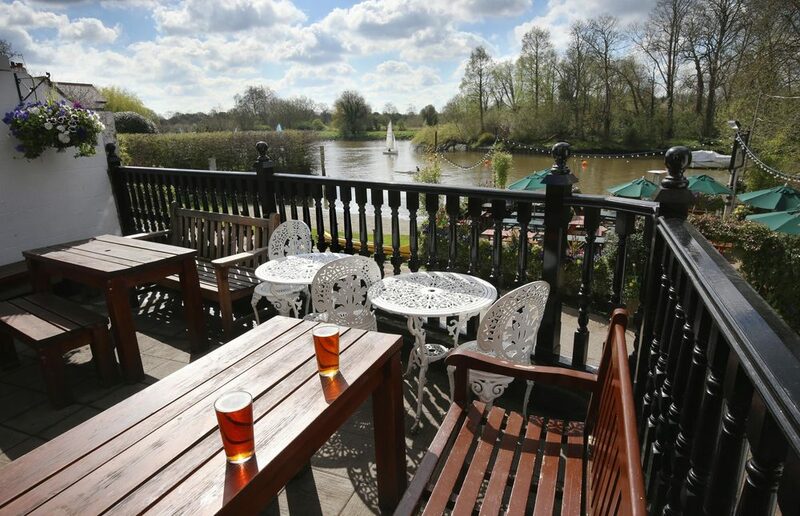 The pub is made up of two rooms, a terrace-balcony and a garden right on the riverbank. Inside we have about 12 tables of various shapes and sizes, a couple of window seats and a few stools at the bar. It’s a very cosy pub in winter, especially when we light the fires. In summer we open the doors to the balcony and put up sunshades in the garden. Sometimes, at high tide, the garden is IN the river but never for long. Everyone who works here knows what it's like to wade through the water with a few plates or glasses in hand. Every Wednesday from 8pm Steve's general knowledge quiz takes place. Teams of up to 6 people, £2 entry per person with cash and drinks prizes to be won. A great night for everyone! Enjoy golden oldies as well as ska and pop favorites. Call 020 8744 2951 from 9am for same day bookings or book online with OpenTable. So everyone gets a chance of a table in the garden or on the balcony we don't take bookings for these. Please make sure you book if there are more than 6 of you (to eat). 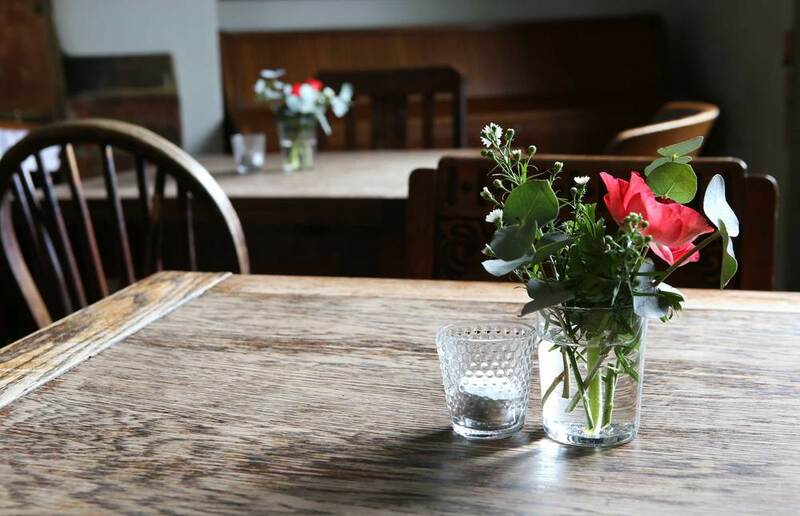 We are a genuine free house and take pride in offering a great range of drinks. We stock tried and trusted brands alongside some of the newest names around. We like to support our local and local-ish breweries but Kevin – our lucky beer chooser – will go further afield for a good beer if it’s the right taste and quality. We have 5 hand pumps and up to 8 draught lagers and ciders. We always have one from Twickenham Fine Ales such as Naked Ladies. The other pumps change every few days or even within the day. We support the new, local and London breweries and many of the best from the South West. Lagers on draught include Brewdog Indie, Camden Hells, Birra Moretti and Pravha. A favourite right now is Hazy Hog cider from the Hogsback Brewery in Surrey. Or if you want to try something different we have Freedom Organic Helles Lager. It’s not all beer here though. Over the winter months we sell lots of Mulled Cider, Hot winter Pimms and bottle after bottle of Belvoir traditional pressé and ginger beer. We have a great selection of wines chosen by our wine merchant Stan. He fills our cellars from his stocks in an old chalk mine in Berkshire and every so often comes to do a very informal wine tasting for our customers. That’s a popular day. 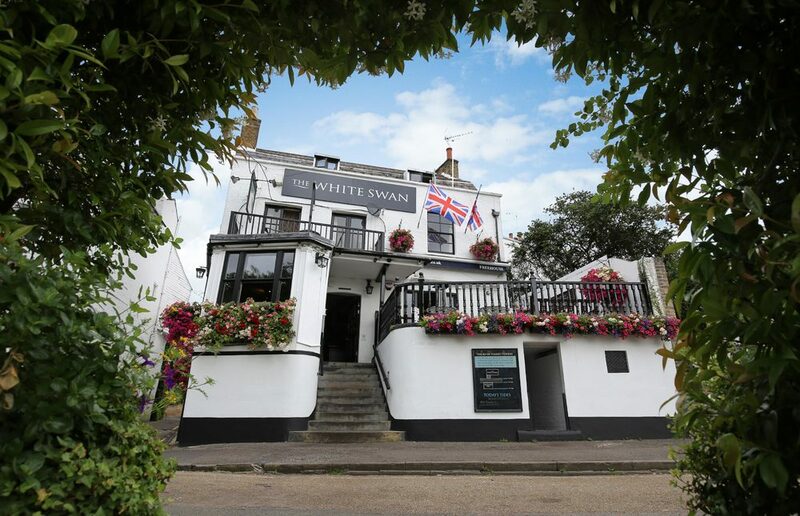 We're only a 10 minute walk from Twickenham station, about 20 minutes away from Twickenham Stadium on foot and there are loads of bus routes nearby. 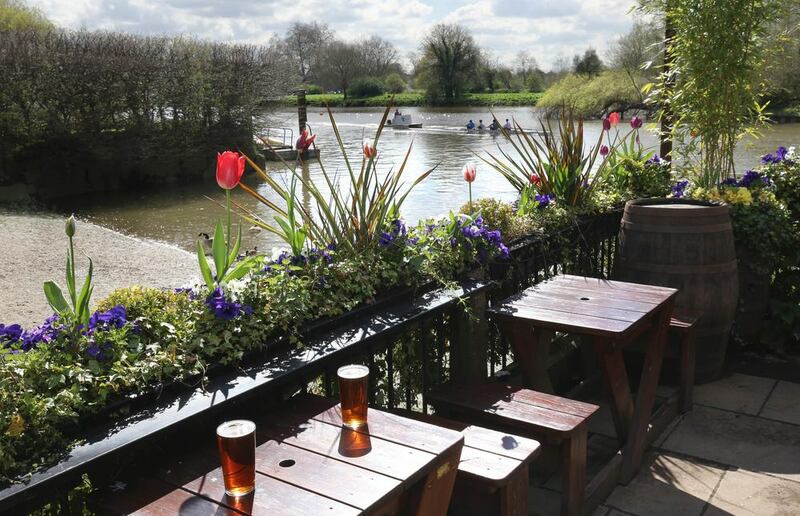 Richmond, and the tube, are a few minutes away by bus or a delightful half hour walk along the river. If you’re making a day of it, you could visit Orleans House Art Gallery, stroll along the river to Marble Hill House or walk towards Twickenham town centre past the wonderfully larger than life Naked Ladies of York House.